I recommend starting with the 3D parts before you even order any electronics. The fit of these parts is exceedingly fussy and error-prone, and if you reach an impasse here you can shelve the project with minimum investment and heartache. These are 2-liter soda bottles in their larval form…before the blow-molding stage, but with the threads intact. Soda bottle preforms are watertight and near indestructible, making them popular with geocachers and schools needing kid-safe labware. I found mine on eBay, but they also turn up on Amazon (search for “soda bottle preform” or “baby soda bottle”). The size and shape seems to be fairly standardized, but if they specifically mention “130 mm interior depth,” so much the better. Some places sell these one-off for just a few bucks apiece, or you can save by buying a set (using the spares for small parts storage…or getting started in geocaching). 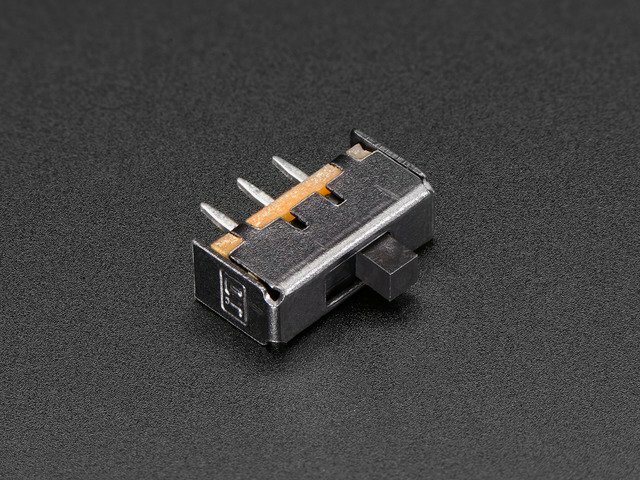 I’ve started a thread in the Adafruit Forums to help in tracking down capsules that are known to work. Check the discussion, or add a note if you’ve found a winner. Trouble finding preforms that fit the 3D parts? Not to worry! Some small soda or water bottles occasionally work. Look for one with the traditional coarse soda thread…many varieties of bottled water use a finer thread that won’t work for this project. Clip or sand off any plastic “sprue” protruding from the end of the preforms. These are sharp and will hurt if caught in motion! While waiting for your soda preforms to arrive, you can get a head start on the 3D printed parts. As mentioned, these are fussy and it may take a few tries to get right. There are two pieces: a special bottle cap (with lanyard hole) and an insert that precisely fits inside the soda preform…we’ll be attaching electronics to this later. Print two of each — poi are usually spun in pairs — four parts total, but print just one part at a time. The prints come out cleaner (fewer strings), and it’s less frustrating restarting a small print job than having a whole complex bed-full-of-parts print job fail. Both parts are designed to print without support. Print the cap with 3 shells (rather than 2) for added durability. You may need to use a large brim for better bed adhesion, since it stands narrow-end-down. A lithium-polymer battery will slide in there later. Puncturing LiPoly batteries is one way they can catch fire, hence the extra attention to removing plastic nubs here. When your soda preforms arrive, check that the printed insert fits inside and the cap screws on securely. The insert should slide in and out easily. If there’s friction, smooth any protruding bits with sandpaper. When everything looks good, rinse off any remaining plastic dust and set aside until completely dry before adding electronics. If sanding isn’t sufficient to make the insert fit your preforms, you can try tweaking the design in Autodesk 123D (.123dx model is included in the ZIP file). So now, if everything successfully printed and fits together to your liking, you can proceed to order all the electronic parts. Additionally, you’ll need a pair of handles and leashes for your poi. Originally I’d used paracord and hunted down some #8 nickel ball bearing fishing swivels (eBay), but you’ll find it easier and get better results ordering a ready-made “flowleash” pair from Flowtoys.com…they’re super comfortable, and the basic pair is only $10, or $20 for a pro version with stainless steel swivels. Their web site shows how to adjust the leashes and has lots of great poi spinning information (and if this whole 3D printing thing doesn’t work out for you, there’s some fine, if technologically simpler, LED poi available there). Though the circuit isn’t complex, it needs to fit into a very tiny space. You’ll need sharp tools in good shape, wire in multiple gauges (26 ga for power, 30 ga for signals), stinky adhesives and — most of all — patience and perseverance. Also, heads up: this requires really solid soldering. Poi get dropped, they collide and they smack into things. The plastic soda capsule that’s so useful against moisture and playa dust does nothing to reduce physical shock. Cold solder joints — where solder beads up on the surface, not flowing smoothly between parts — will not withstand shock. Connections will break (often invisibly) and your poi will misbehave or stop working entirely, and you’ll be sad. 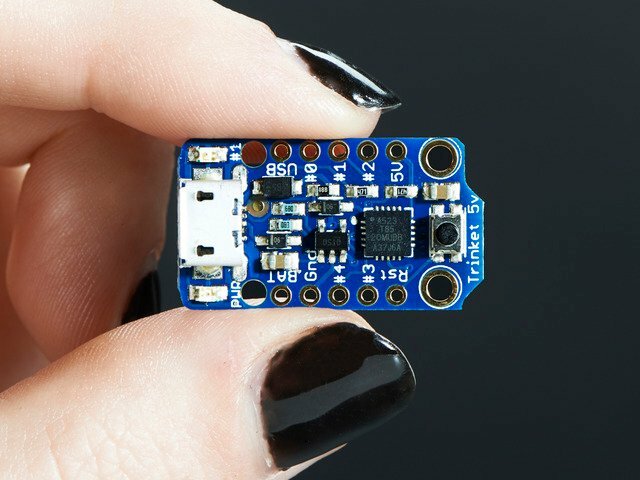 The Adafruit Guide to Excellent Soldering demonstrates some good solder joints vs. duds. Okay! No more doom & gloom, let’s get on with this thing! The circuit consists of two 16-pixel DotStar strips, the Trinket microcontroller, LiPoly battery and packpack, and a single button and switch. Charging and programming are through the USB port. 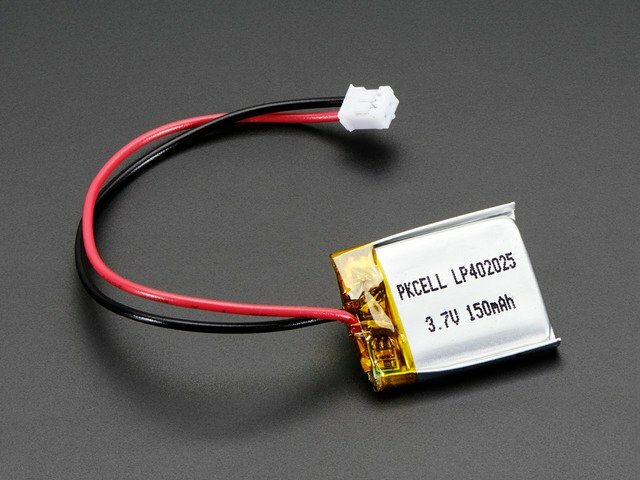 Before doing any soldering or other work, do this: using a small dab of E6000 glue or 5 minute epoxy, reinforce the wires coming off the LiPoly battery. We’ll make a sharp bend there later and don’t want the wires breaking off. Peel the tape up a little and get the glue underneath, where the wires connect to the board. Don’t let the metal E6000 tube contact the terminals! Set aside to dry completely. If you don’t already have the DotStar library for Arduino installed, skip ahead to the “Code” page for a moment and set that up, then return here. Go ahead and download the poi software as long as you’re there. If you peer closely at the LED strip you’ll see the + and – connections are labeled, and arrows show the direction of data from “in” to “out” … but these 144 LED/m DotStar strips are packed so tightly, there’s no space for “data in” or “clock in” labels! Use jumper wires and a spare Arduino if you have one, else you can solder temporary connections to the Trinket board. 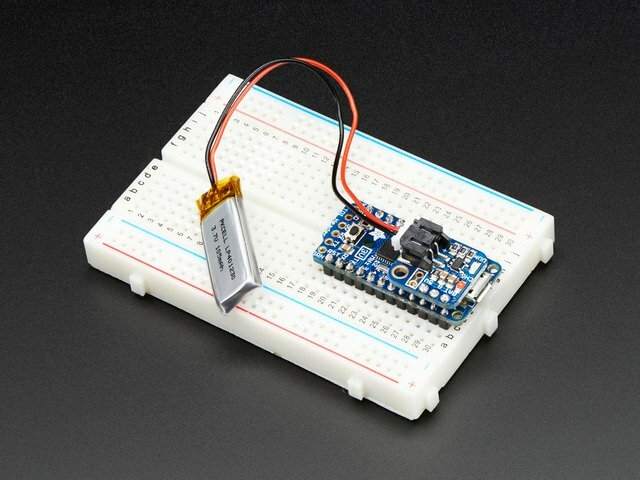 + and – connect to 5V and GND on the Arduino (or USB+ and GND on Trinket). Load up the the strandtest example sketch included with the DotStar library. Change the 'NUMPIXELS' value to 64 (enough LEDs for two poi). Just below this, you’ll see 'DATAPIN' and 'CLOCKPIN'. If using a Trinket, change these to 1 and 2. Then connect wires from the two defined pins to the two free connections on the strip. Press the upload button to transfer the code to the Arduino board. If the strip lights up, fantastic! Now you know the positions of the clock & data pins relative to + and –. Write it down! It’s normal for just the first section of the strip to cycle colors, not the whole thing, and you’ll see one white pixel at the end of the lit section. If the strip does not light up, either switch the two wires, or switch the two numbers in the code (and upload again). If it still doesn’t light up, try connecting at the opposite end of the strip (you might also need to try the clock/data swap again at this end). If no combination seems to work, start a new thread in the Adafruit Forums for help. Please try to provide at least one photo that clearly shows your connections between the strip and Arduino, and any other relevant information you can provide (computer operating system, version of Arduino IDE, etc.). When it works and you have your notes, disconnect all the wires. Now open the 'poi' sketch (if you didn’t download this before, skip ahead to the “Code” page for the link). Select Tools→Board→Adafruit Trinket 16 MHz, plug a USB cable into one of your Trinket boards and then press the Upload button. Repeat with the second board. This pre-loading step will make it easier to test the electronics later before everything’s sealed up. Using snips or a hobby knife, cut and peel the rubber coating off the DotStar strip. The ends of the strip are sealed with a rubbery glue that peels away with enough scraping and swearing. The wires can be desoldered from the strip and the ends cleaned up with a Q-tip dipped in rubbing alcohol. Or if it’s easier, you can just sacrifice one LED and clip it (and the wires) off the end (there’s a few more LEDs than we need for the poi). For each poi you’re making, cut two 16-pixel segments from the strip. These tightly-packed strips have only one set of solder pads between LEDs…you’ll want to make cuts so the pads remain on the INPUT end of each segment…pads aren’t needed on the output end. Double…no, triple check that you are cutting sixteen (16) LEDs and leaving pads on the INPUT end! Trim the corners away to help it fit the end of the tube. This might not be 100% necessary, but it’s one of those nice touches like a sandwich cut diagonally. Use a hobby knife or a file to scratch away the trace between these two solder pads on the LiPoly backpack. Parts suppliers change from time to time. 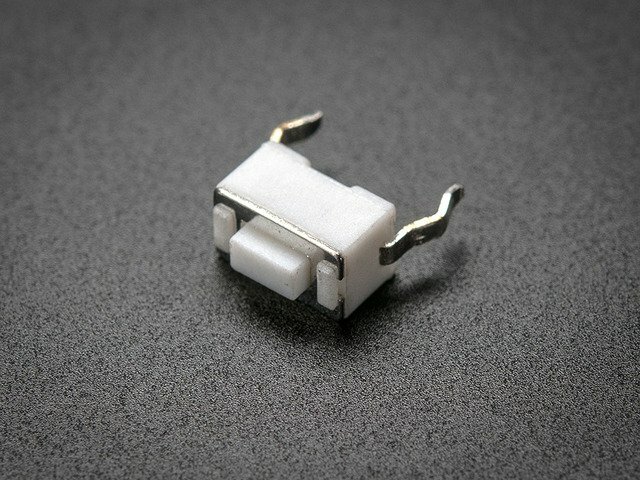 If your power switches have these really long legs, clip them down to about half their length (~1/8" or 3mm is good). Test fit the switch and pushbutton in the cutaways at the bottom of the 3D printed insert. Use a file to clear away any support material or cruft that interferes with their positioning. Both of these parts should be slightly recessed, their tips sitting flush with the bottom face — not protruding — test by pressing down against your work surface. The button might be a little wobbly. That’s okay, we’ll glue the snot out of it later. Before we do any soldering, let’s lay out all the pieces to familiarize ourselves with the plan…see where every piece fits and do any last-minute cleanup of the 3D printed parts. The flat areas on the insert are where the LED strips will go, with the input pads toward the tip. There’s a slot at the tip where the Trinket board will nestle. Another slot mid-way holds the LiPoly backpack. The edge of this board needs to sit juuuust flush with the edge of the insert…if it protrudes, there’s probably still some plastic cruft still to be scraped away in the slot. The battery connector should point “down,” toward the base. The battery slots into the base, with the wires pointed “out.” Be sure there’s no stabby plastic residue in the slot…file it smooth if necessary. Switch and button were already test-fit, you know where those go. When building two or more poi, you’ll probably find it faster and easier to do each step on all the poi, assembly-line style, rather than building each one start-to-finish. DO NOT connect the battery to anything until instructed to do so. Soldering on a live circuit can be dangerous. Cut two 3-inch (75 mm) — or slightly longer — pieces of 26 gauge silicone-insulated stranded wire and strip about 1/8" insulation from one end (to match the pins on the switch). Give the bare ends a twist and “tin” the wires with a tiny bit of molten solder. Tin two pins of the power switch — the center pin and either of the two outside pins. Then solder the wires to these pins. It’s vital thoughout this project that the solder flow smoothly between components. Cold solder joints — where the solder is beaded on the surface — do not withstand physical shock. Fresh solder flux (which is built into the core of the solder) is essential. You’ll have one or two tries to make the connection…any more than that and the solder starts to get sticky and misbehave. When this happens, you can mop up the bad solder with your iron and a solder sucker or copper desoldering wick, then begin again with virgin, flux-rich solder. Add small bits of heat-shrink tubing over the switch connections and carefully shrink with a lighter or heat gun. Heat-shrink tubing is not just to prevent electrical shorts, it also provides the solder joints some strain relief against shock and vibration. Strip a similar amount of insulation from the other end of the wires, twist and tin the ends. Feed these top-to-bottom through the two power switch holes and solder. There’s no specific polarity — either wire can go to either hole. When the soldering looks good, trim away any excess wire so the bottom of this board is relatively smooth. Test fit the placement of the switch and LiPoly backpack. You’ll see there’s a little channel for the wires to run through, and a notch that holds the edge of the board. If there’s a few millimeters of slack, that’s fine. If there’s a whole lot of slack, you’ll need to desolder the wires from the backpack, trim them down a little, and re-solder. If the wires came up too short, not to worry. 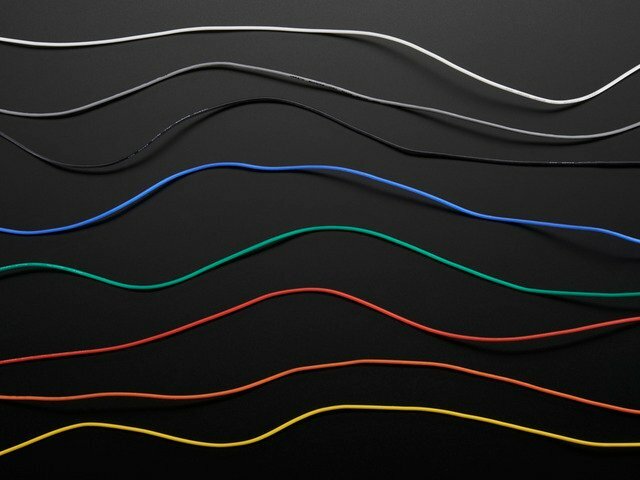 Use a hobby knife to cut away the heat-shrink tubing, de-solder the connections from both ends, then cut a new pair of wires a little longer and repeat these steps. Cut two pieces of 30 gauge silicone-insulated stranded wire about the same length as the insert. We’ll cut these to an exact length later. Trim a little insulation from one end of the wires, twist and tin. Tin the pins of the pushbutton switch and solder the wires here. Again, you’re looking for smooth, reliable connections. Heat-shrink the pins once the connections are satisfactory. Set this piece aside, we’ll come back to it in a bit. Why are two different gauges of wire being used? Heavier-gauge wire has less resistance and can carry more current…but space is so limited here we can’t fit the 26 gauge wire throughout. So the battery and power-hungry LEDs will get 26 gauge, while the microcontroller and signal wires (which don’t require a lot of current) use the slimmer 30 gauge. Cut a single piece of 26 gauge wire a little over 2 inches (50 mm) long…or, with the parts laid out atop the insert, you’re aiming to reach from the “5V” pin on the LiPoly backpack to the “USB+” pin on the Trinket. Strip, twist and tin both ends of the wire and solder those connections, then trim the wires flush. This wire should be long enough to position the Trinket in this slot, with the USB port protruding just a couple millimeters. As with the power switch wires before, you may need to re-do this to get the length just right. We’ll now cut a total of eight wires…just a little bit longer than the charging wire…and strip about 1/4" of insulation from one end. Six wires should be 26 gauge, the other two are 30 gauge. Color-coding the wires for +V and ground isn’t required, but sure does help keep track of things. This makes for two groups each with three 26 gauge wires and one 30 gauge. Pair up wires side-by-side and twist the ends together. Two of these pairs will be 26 gauge wire, the others two will combine one 26 and one 30 gauge wire. Now twist pairs together end-to-end. Solder the connections and add just enough heat-shrink tubing to safely cover that area. You’ll now have two little “bow tie” things with three thicker wires and one thin wire. Goal now is to route these wires and trim them to exact lengths. I found it helpful to tape everything down for this step. On the end with two thick wires: route one + and one – wire around either side of the USB connector. These wires will not be trimmed yet. On the end with the thick-and-thin wires: the thick wires go to the LiPoly backpack — black needs to reach to G, red to BAT, while the thin wires must reach the Trinket’s Gnd and BAT+ pins. Allow a few extra millimeters on each to strip, twist and tin, but do not solder any of these connections just yet. Well okay, the red wires are pretty straightforward — thick wire to LiPoly backpack BAT, thin wire to Trinket BAT+. Leave the other two thick wires alone for now, straddling the USB connector. install the mode button into the notch at the base of the insert. Like the power switch, there’s a channel for the wires to run through. Strip, twist and tin the ends of these wires. Now insert and solder TWO wires through the G pin on the LiPoly backpack: the shorter wire from the mode button, and the thicker (26 ga) ground wire. Try to keep the wires orderly on these last few steps…use tweezers to “comb” the wires apart as needed so they’re not twisted around each other. Solder the mode button’s longer wire to Trinket pin 3. The narrower (30 ga) ground wire then solders to the Trinket’s Gnd pin. Cut four 30 gauge wires, similar length to all the power wires you previously made. If color-coding, two are for LED data, two for clock. Strip about 1/4" of insulation from one end of each wire, then pair them up and twist and tin the ends. Solder one pair to Trinket pin 1 (data) and the other to pin 2 (clock). Double-check that you’re getting the correct holes, else the poi won’t work. Pin 0 is not used. Carefully trim flush any protruding wires from the underside of the Trinket and LiPoly backpack boards. Inspect the connections carefully for any signs of shorts or cold solder joints. Soon these boards will be tucked away and very difficult if not impossible to repair. “Tweezer comb” the wires to straddle the USB port. Take your time so they’re not tangled. There should be four wires on either side: one each of power, ground, data and clock. Tape each group down as you work so they don’t run wild. Carefully slot the Trinket into the printed insert, removing the tape as you go. Once the Trinket’s in position (the USB port should protrude just a couple millimeters), tape the wires together in a bundle. Tip the LiPoly backpack up and squeeze a dollop of either E6000 glue or 5-minute epoxy on its underside. Slide the backpack into place (the edge should be flush with the insert) and clamp in place with a clip, clothespin, some tape, whatever you have handy. Do the same for the Trinket, then slide into place and clamp. The edge of the board should protrude from the insert just the tiniest bit — a millimeter at most. Glue the power switch and mode button in place. This step really calls for epoxy, not E6000. Make sure the tips of these controls are flush with the base, not protruding. Don’t glop them up too much! The sides of the switch have openings where glue could get in and interfere with its operation. E6000 requires hours to reach full strength. This is an excellent time to take a break or stop for the day. Put the pieces in the garage or out on a balcony while the glue dries…the fumes aren’t healthy to breathe. Turn off the soldering iron, wash your hands because you’ve been handling all this stuff, then go to bed, go for a bike ride or have a Pop-Tart®. Using pliers, add a little bend to the tips of the LED strips (where the solder pads are) to help them fit in the tube. Then position them over the poi insert and hold in place temporarily with tape or rubber bands. Tin each pad on the strip with a tiny bit of solder. “Tweezer-comb” the clock and data wires on one side over the corresponding pads on the LED strips, trim length to fit (a few mm slack is OK), then strip just a tiny bit of insulation and tin the tips of the wires. Using tweezers to hold the wires, solder them to the LED strips. Make sure the solder joints are smooth and shiny, not “cold” joints. Next, repeat the procedure with the power and ground wires. Notice how on each side we’re connecting half the wires for each strip; this is normal. Turn the poi insert over and repeat these steps for the four wires on the other side. Clock, data, power and ground. You should have already loaded the poi sketch onto the Trinket microcontroller(s). If not, skip ahead to the “Code” page for a moment, fetch that software and program the boards. 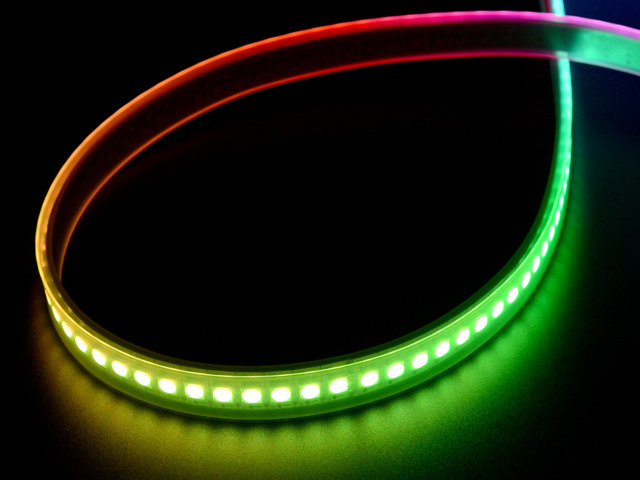 Remove the tape from the LED strips. Pivot one LED strip out slightly (if any solder connections break, that’s a cold joint, fix it), then carefully plug the LiPoly battery into the backpack. DO NOT use a metal tool for this! It’s too easy to short across the battery connections. Use a toothpick or other non-conductive implement to push the plug into the socket. Flick the power switch (if it’s not already on — look for the green power light on the Trinket board). After a few seconds, the LEDs should start doing things! Green power LED on the Trinket doesn’t light with the power switch in either position: disconnect the battery immediately! It may be an electrical short between + and ground. Connect a USB cable between your computer and Trinket. If the light comes on then, it’s probably not a short, just a spent battery. Re-connect it and allow some time to charge. Green LED is on, but the LED strips do nothing: connect a USB cable and make sure the poi sketch is loaded on the Trinket board. If there’s still no response, probably a wiring mistake…either the clock and data wires are reversed, or they’re connected to the wrong pins on the Trinket (should be pin 1 for data, pin 2 for clock). 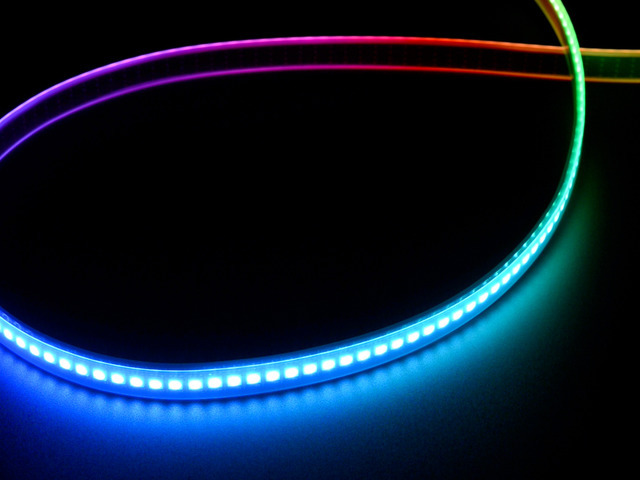 Only one LED strip is active: wires are probably in the wrong order on the unlit strip. Power switch won’t budge: glue has seeped inside. Use more force to try to break it free. If it’s completely wedged, there’s no choice but to break it down and solder in a new switch. Power is always on, switch does nothing: on the LiPoly backpack board, the copper trace between the power switch connections has not been cut. This guide was first published on Jul 13, 2015. It was last updated on Jul 13, 2015.